New Alfa Romeo Explore the New Car Range from Alfa Romeo. Used Alfa Romeo Search our extensive stock of high quality used Alfa Romeo. HWM Alfa Romeo When our small family-team of enthusiasts began to tinker with race cars, they would not have expected the family-run business to be as strong as it is today. HWM is a well-established, family-owned, prestige sports car dealership in Walton-on-Thames, Surrey and West London. Alfa Romeo has a long history of successful racing car and road car production. In 1912, the manufacturer built its first Alfa Grand Prix car. Soon after, it had established themselves as a dominant competitor in race car driving. Now, Alfa Romeo is famed for beautifully designed saloons and hatchbacks. Their sporty and multi-faceted fleet are popular amongst drivers all over the world. We are proud to stock a variety of new and used Alfa Romeo cars. We currently have the award winning Alfa Romeo 4C and the city-sleek Alfa MiTo. Our collection of Approved Used Alfa Romeos are well-maintained and offered with a low mileage count. All of our Alfa Romeo models can be purchased over a series of months. We are happy to create a monthly payment package that is suited specifically to your needs. We have finance specialists on hand to find an offer that suits your budget. 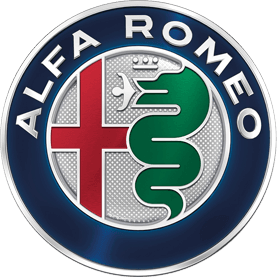 If you currently own an Alfa Romeo, we can perform any repairs or upgrades that you might need. Our well-equipped car-service facility only uses official Alfa Romeo parts to keep your car running longer. Whatever your car needs, our team of technicians have been trained by Alfa Romeo to carry out any number of jobs. We can perform a full-body MOT check to see if your vehicle is road worthy. We can also repair minor and major accidents and upgrade your tyres as you need them. Our service centre is open five days a week for your convenience. Please check back to our Alfa Romeo page regularly. We are constantly updating our showroom with impressive new models and cared-for Approved Used options. If we don’t currently have the Alfa Romeo car that you’re looking for, please give us a call and we will see how we can help you. If you want to book a test drive in any of our current models, we are easy to reach. Simply send us an email or give us a call and we can pencil an appointment in very soon.